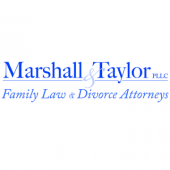 The laws governing child support have been a topic of intense debate for some time. The principle behind them is sound: a child’s parents should be equally responsible for the costs of caring for him or her. However, many complicated issues can arise when this principle is put into practice. The Raleigh child support attorneys at the [firm-name], believe in fair child support arrangements for all divorced parents. To learn how we can help you develop an agreeable schedule for child support payments, call our offices at 919-833-1040. A child’s natural parents can work together to arrange a fair child support system. If this is not possible, either parent can take civil action by filing a complaint with a judge. The judge will then determine an amount of child support to be paid to the custodial parent. The payments owed will be based on each parent’s income and the costs of caring for the child. Some costs that will be considered include day care, health insurance, and extraordinary expenses. This last category refers to certain needs that a child may have, such as educational support or the cost of traveling between the parents’ homes. A child support arrangement can be modified if either parent’s circumstances significantly change over time. This requires meeting with a judge to prove the extent of the changes that have occurred. A parent who has not been receiving owed child support can contact a Raleigh child support lawyer or the County Child Support Enforcement Agency. If you are not receiving the child support payments you deserve, or if you believe you are being charged excessively, we can help. Contact experienced Raleigh child support attorneys [firm-name] at 919-833-1040.